Training at the Academy exposes students to the Warrior Lifestyle - a philosophy and practice through which incremental imrpovements are made on a daily basis so that each day a person is better than they were the day before. 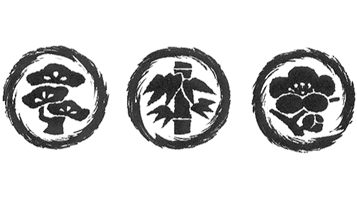 "Pine-Bamboo-Plum" (Sho Chiku Bai) is a motif that represents a philosophy common to holistic martial arts systems. Traditional Japanese culture holds that the pine tree (Sho), bamboo tree (Chiku), and plum blossom (Bai) are representative of strength, suppleness, and endurance respectively. These qualities are not just physical, but also mental, emotional, and spiritual. The connotation is that they are qualities that are interdependent on one another and must be developed simultaneously. The training structure of the Seizan Ryu system is based on the Sho Chiku Bai philosophy. Seizan Ryu schools seek to provide an atmosphere in which Seizan Ryu students develop proactive defense skills, increase situational awareness, foster mental toughness and emotional resilience, and ultimately enhance their ability to maintain composure and defend themselves at all critical levels of conflict, be they physical, mental, or emotional. It is our purpose to help each student realize and maximize his or her true, individual potential, both physically and mentally. Holding true to that philosophy of excellence, we seek it in ourselves, while guiding our students along the same path. The complete modern warrior-student has refined these physical and mental traits and makes it a lifetime task to keep them in balance. Seizan Ryu, or "West Mountain System," derives its name from the region where the teaching concepts were formalized. Seizan, or "West Mountain," is so named because the teaching methodologies were formulated in Westmont, Illinois, and in the Rocky Mountains, west of Denver, Colorado. The term "Ryu" denotes "a flow of knowledge." Seizan Ryu is formalized from expertise in a number of systems, including Japanese, Chinese, Filipino, and Indonesian martial systems. Seizan Ryu, however, is not an eclectic system, but is based on the philosophy that "truth is arrived at by studying the similarities among systems" and is therefore based on the principles that unify those arts. In other words, Seizan Ryu is not unique because it advocates striking in a certain way or choosing a grappling strategy; instead, its uniqueness stems from teaching the best ways of striking and grappling in terms of the natural laws that pertain to all movement. The Seizan Ryu curriculum is structured so that students develop an understanding of the most appropriate time to employ various tactics, be they striking, grappling, or a combination thereof. In everyday language, students of Seizan Ryu study technique and strategy, learning "what to do" (technique), "when to do it" (tactics), and "why it works" (conceptual understanding of natural laws).